PALM BEACH COUNTY, Fla. Robert J. Cousins and Jeffrey R. Creasman partners in the Fort Lauderdale office of Quintairos, Prieto, Wood & Boyer, P.A., successfully defended a medical malpractice case on behalf of West Boca Medical Center in West Palm Beach. The firm’s representation was originally on behalf of an ICU nurse placed at West Boca Medical Center through the firm’s client Weatherby and CHG. The firm assumed its defense for the allegations and claims against the nurse not named as a defendant. The plaintiff, a 42 year old man, with a prior history of arterial clotting which had caused previous problems in his liver, spleen, gall bladder and colon had been diagnosed with arterial occlusions in all three vessels of his lower leg. On April 10, 2014 he arrived at West Boca Medical Center with complaints of increasing leg pain and difficulty ambulating for several days. A vascular surgeon proceeded with interventional therapies that eventually restored circulation in the posterior tibial artery and partially restored flow in the peroneal artery. However, the anterior tibial artery which feeds the front of the leg including the muscles and nerve that controls dorsiflexion of the foot remained occluded. On the third day of the hospitalization, the nurse followed the patient in the ICU. It was alleged that the patient manifested evolving symptoms of a developing compartment syndrome including pain, nerve deficit and other vascular changes. Compartment syndrome results in very high pressure within a confined space, causing damage to the surrounding tissue and compression of nerves potentially causing permanent damage. According to the plaintiff’s theory, the nurse should have realized the changes were potentially catastrophic, and should have acted aggressively to have a vascular surgeon come in to evaluate the patient. The nurse spoke with the physician at 12:15 p.m. who advised that he would be coming to see the patient shortly. The physician arrived later that afternoon at approximately 5:30 and immediately diagnosed the patient with a compartment syndrome in the lower leg. The surgeon testified that the nurse failed to advise him of the significant changes. It was alleged that the nurse should have been more aggressive in contacting the physician and when the physician did not respond promptly, the nurse should have gone up the “chain of command” to have others contact the physician. The plaintiff ultimately developed a permanent nerve injury resulting in a drop foot and a neuropathy in the lower extremity that leaves him in extreme pain requiring high levels of pain medication. Through the nurse’s testimony and the defense’s expert vascular surgeon, the defense demonstrated to the jury that injuries to the nerve and to the lower leg muscles – causing the drop foot – was most likely triggered by the continuing occlusion of the anterior tibial artery and not caused by compartment syndrome and compression of the nerve. The defense further demonstrated that the plaintiff’s unrelenting pain was mostly likely caused by a nerve injury to the medial side of the leg and caused by a subsequent vascular occlusion which occurred several weeks after the incident in question and was unrelated to the compartment syndrome. The plaintiff had undergone a tendon transfer to assist with his drop foot condition and testimony reflected that he could undergo a lower leg amputation secondary to his excruciating pain syndrome. In addition to future medical and rehabilitative costs, the plaintiffs sought recovery for $5.4 million dollars. After a twelve day trial the jury deliberated for only 59 minutes before returning a complete defense verdict. Robert J. Cousins is the managing partner of the firm’s Fort Myers office and also practices in the Fort Lauderdale and West Palm Beach offices. 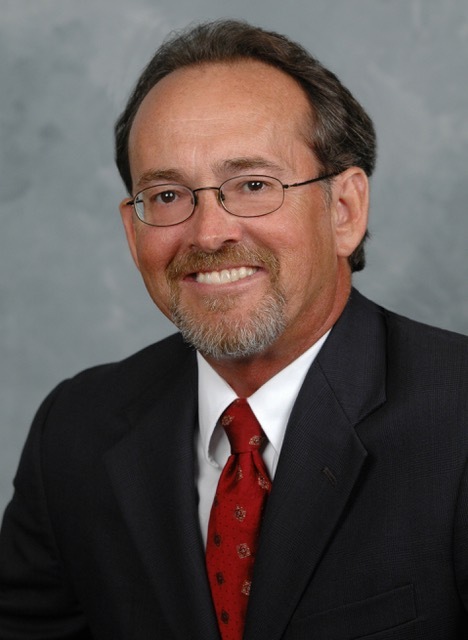 He is Board Certified in Civil Trial Law since 1994 by The Florida Bar Board of Legal Education and Specialization. Jeffrey R. Creasman is a partner in the Fort Lauderdale office. He has extensive trial experience in the areas of nursing home defense, medical malpractice litigation, and asbestos/toxic tort defense.